Anyway, my project is a webquest, which I have never done before and I can't wait to implement it in my classroom in October. 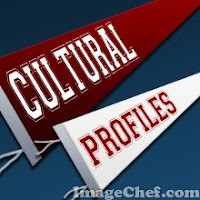 It's called Cultural Profiles and students are supposed to find info on various aspects of 6 English speaking countries. You sure will pass and with a distinction, too;-) You have shown qualities of a leader in educational technologies and as I said somewhere in Nicenet or my blog, you have been an inspiring reference to most coursemates. So, let me congratulate you on your success. I find this blog of yours very interesting. The links are just great and I will gradually explore them. By the way, the pictures of your Tennessee odyssey are awesome. I'm sure you will pass with flying colours too, as I know that you too have been working really hard and with lots of passion. Today was our last day and it feels kinda strange not to have any assignments to do, blog posts to publish, comments to write, issues to think about... and I miss it already. Do you?